Our garden is finished! Hurray! I think it looks great, if I do say so myself. 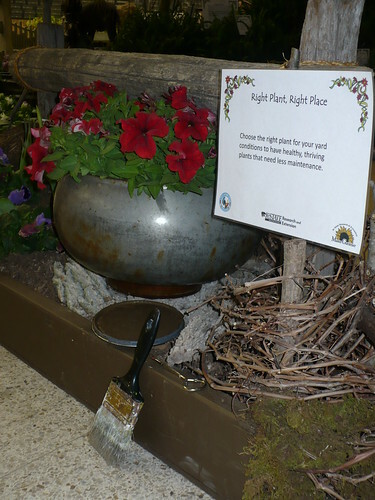 The Master Gardeners all worked hard to get the heavy lifting done and then all the puttery detailing. Here’s a few glimpses of the garden while we were putting the finishing touches on it. Yup…there’s a few things still to finish up. 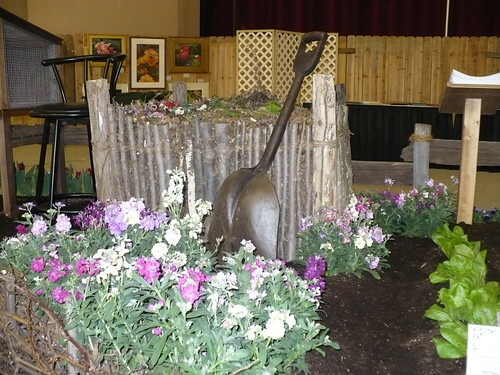 The rustic compost bin with an old shovel is a great touch in the garden. The sunflowers and pansies are holding down the fort along the front edge of the garden. 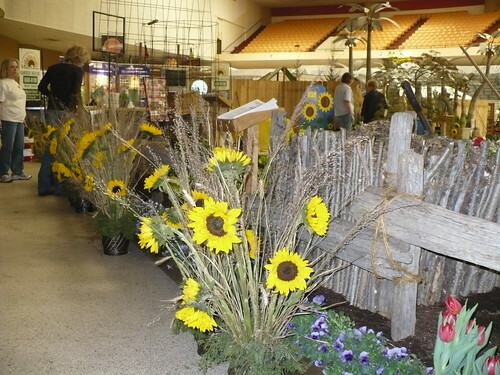 I hope we’ll see you at the Wichita Garden Show! Posted on March 1, 2011, in Upcoming Events. Bookmark the permalink. Leave a comment.